Spring is upon us! Cactus wren in palm tree, my backyard. This month’s Schoenstatt Mothers’ Group meeting is at Sally’s house on Monday, March 25, at 9:45 am, on the Feast of the Annunciation! All are invited, even if you’ve never come before or have not heard of Schoenstatt! Healthy snacks welcome! Please message Margret J. Lenhart Lewis or Sally Leroy for more information. Also, if interested in meeting and studying Schoenstatt in Chandler,Gilbert area, please contact Margret J. Lenhart Lewis. We gathered at Barb’s home shrine, Mother of Confidence, Feb. 28, prayed the “Rosary For Priests” for our Schoenstatt Fathers. Food/Fellowship followed. In keeping faithfully with our motto for 2019, “Living Monstrance, like Father, dare to offer ourselves for the Church”, we read and discussed an article “SYMBOLISM OF THE MONSTRANCE”. 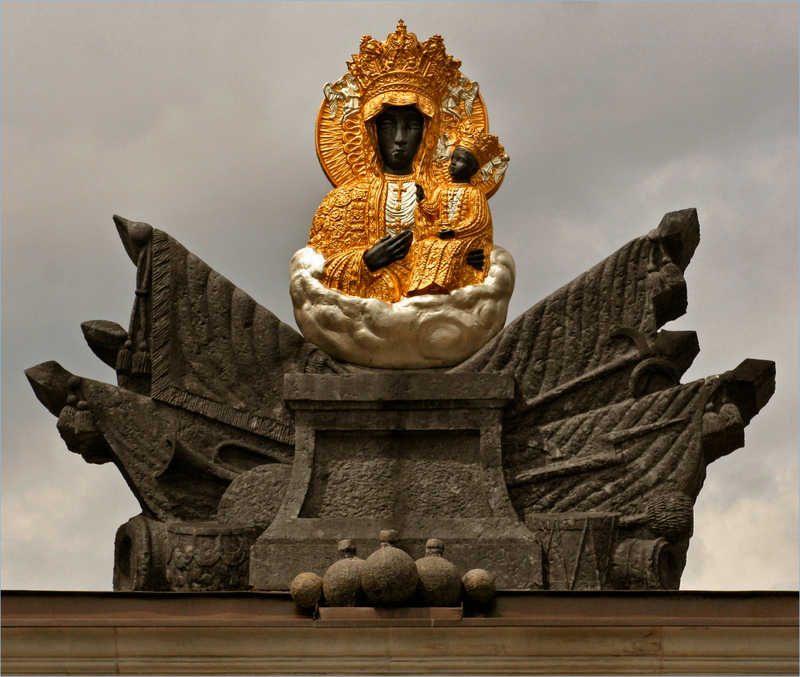 As Schoenstatt Mothers, we see the monstrance as a symbol for Mary, the first one to bring Christ to the world. Mary was a living monstrance! We now, as little Marys, are also living monstrances who bring Christ in our own hearts and lives as Mary did. We should be Christ bearers, bringing blessings to the world around us. We read about the individual symbols of the monstrance of the Schoenstatt Mothers (cross, Father eye, five rings representing five continents, symbol at base represents Covenant of Love). The history of the monstrance from 1940 through 1971 was so valuable to us moms, and all its symbolism. We also read from The Pilgrim Mother the article “The Lightning Rod” enlightening us as to the sick, elderly and lonely; and, how interesting it was to know Fr. Kentenich had “a lightning rod” apostolate to the sick and handicapped in Germany as far back as 1966. So, here we are today also following in Father’s footsteps with helping the sick, elderly and homebound with our Pilgrim Mothers and it’s so rewarding…..truly a win/win plan! We closed our meeting with choosing a Fr. 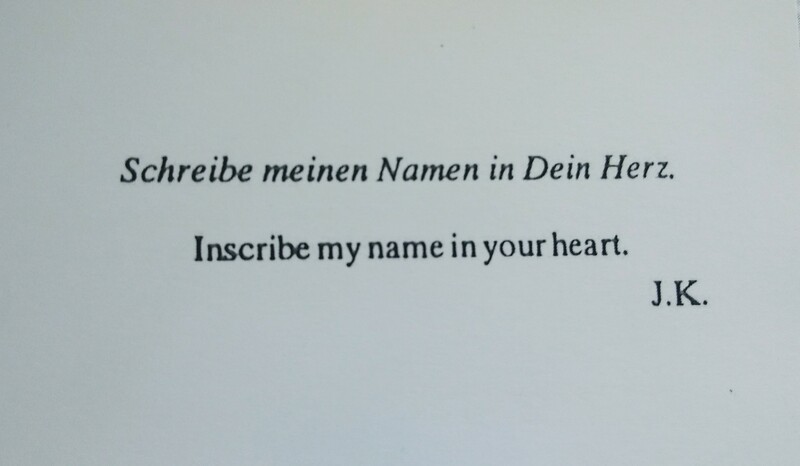 Kentenich quote card, and our consecration prayer. FORTY DAYS FOR LIFE: March 6-April 14 is a time for prayer, fasting, and protecting the unborn. We all are strongly encouraged to join our parish Pro-Life prayer warriors and pray Rosaries near our parish-assigned Planned Parenthood. Into five days, 31 babies have been saved from abortion, through our prayers (a few are Memphis, Greely, Colorado, Plattsburg, NY ). Aid to Women Center, Tempe,AZ, has a chapel with Blessed Sacrament exposed every Saturday for those who choose to pray Rosaries. RADIO FAMILY ROSARY BENEFIT DINNER: April 6, 4:30pm Mini-retreat/rosary, catered dinner, $23, St. Paul’s, 330 W. Coral Gables Dr., Phoenix. Fr. James Kubicki, SJ, Former National Director of Apostleship of Prayer, keynote speaker, daily guest on Relevant Radio, frequent guest on Radio Family Rosary, Author and retreat master is an amazing speaker who shares his insights. His words will inspire you to pursue the path to holiness. SCHOENSTATT PILGRIM MOTHER NATIONAL ANNUAL CONVENTION 2019: “Our Covenant for the Church!” June 27 – 30, 2019 Sister Isabel sent registration forms with details. We’d sure like to have a terrific attendance from AZ! ARIZONA 44th ROSARY CELEBRATION: October 20, 2019, one of the largest attended events in our country; honoring Our Lady under her title OUR LADY OF GUADALUPE, mark your calendars. Plan to procession with our Schoenstatt families and pray together, very powerful! Please remind your family and friends. We are connecting with Sr. Deanne and Mothers groups in Wis. and IL. adding to this year’s motto “LIVING MONSTRANCE, LIKE FATHER, DARE TO OFFER OURSELVES FOR THE CHURCH”. For the January meeting, we read and discussed the article on “Our Father and his decision of January 20, 1942 (The Second Milestone in History of Schoenstatt Movement)”. We talked about our founder and his unshakable faith and deep trust. Father Kentenich was strong in his decision to go to the Dachau concentration camp …always thinking of others as he said “many friends are waiting, and wanted to be with all those Schoenstatters he could help in Dachau”. We will re-read this article on our own and discuss more deeply our own thoughts at the February 28 meeting at Barb’s home shrine. SPECIAL RESOLUTION: we will pray daily the conclusion prayer of ROSARY, Page 100, HEAVENWARDS. We’re grateful to Barb G. for bringing Dee H., 88, one of our “mature Schoenstatt moms” to the Annointing of the Sick Mass, February 11, at Our Lady of Perpetual Help. We had a good time catching up afterwards with coffee and sweets. Dee was so gracious and thankful. “Lets get out in the streets, out of our churches” and be true prayer warriors at the Planned Parenthood near you. Your parishes have representatives, if not let me know, we’ll be going on specified dates. These 40 days are all about prayer and fasting and protecting the unborn. Plan to procession with our Schoenstatt families and pray together, very powerful! The Conventual Church of Our Lady of the Angels at the Franciscan Renewal Center tour given by the Casa’s Music Liturgy Director, Norbert Zwickl. Artist Scott Parsons sent his designs to be created by Derix Glassworks in Germany. Olaf Hanweg and Roman Olichowski, who worked on the project had been invited to the Church to visit the congregation and view their finished work. Greetings Dear AZ Schoenstatt Families…..Above are a few photos from the AZ ROSARY CELEBRATION. Bishop Olmsted really gave us a big a-ok sign when we processioned passed him. HE LOVES SCHOENSTATT!! It was a very grace-filled day, missed lots of you and hoping next year you’ll participate with us…5000 prayer warriors, praying the rosary together for all our intentions..AND ALL BEFORE THE BLESSED SACRAMENT..so very powerful!! We met October 18, Covenant Day, at Barb and Steven’s home, prayed the Rosary together, mingled and caught up on our personal lives while we snacked. Then we finished the last chapter , “Joseph Engling – All Things to All!” We learned so much about him, his war diary, and Fr. Kentenich’s ways of educating him to be all things for all. He definitely was “one in the heart of Fr. Kentenich”, and very child-like! We’ll meet November 15, 9:45am sharp in Kathy’s home shrine and look forward to seeing some new smiling faces so you all come please. All I can say is “wow” and how profound and appropriate for this day and age. Perhaps we’ll celebrate Fr. Kentenich’s birthday a little early too, please join us, if you need Kathy’s address let me know. (Sally 480-945-6190 or cell 262-758-2278). We all go with you, Melissa! We have a bit of sad news, our sweet Melissa, one of young moms and her family will be moving to Maryland, December 16. She’ll be greatly missed but we sure are happy we had a couple years with her and will have to find her SCHOENSTATT families there. Their son, Domi, 4, our youngest Schoenstatt member was so good when he’d come with Melissa to meetings. He is such a JOY and melts our hearts. United Always in Our Mother’s heart and her loving son. studied/discussed this year’s motto booklet “ONE IN THE FATHER’S HEART: Omnibus Omnia” as the year ends of the 50th celebration of Fr. 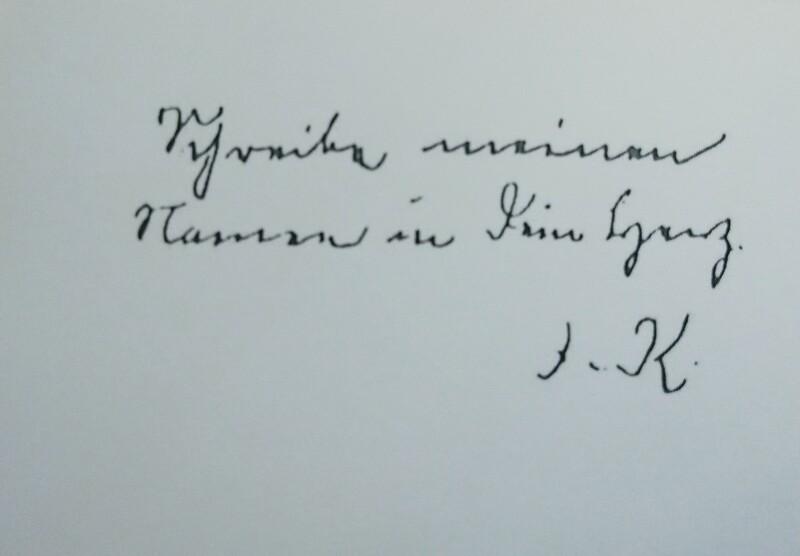 Kentenich’s departure from this earth. Schoenstatt will celebrate throughout the world Father’s feast of celebration of new life, September 15. (Pages 61-84 were packed with Our Founder’s Spirituality, how he lead the Church to the “new shore”, four Schoenstatt milestones connected to mysteries of rosary, and Father Kentenich’s Marian mission. We finalized Sr. Jessica’s visit with AZ Schoenstatt families. WE ARE ALL INVITED to participate in the NATIONAL meeting, September 29 (any time frame between 9am-7:30pm). Sister arrives from Minneapolis, St. Paul , and Margret & Giana will greet her at airport. They will then take her to Eva & Israel’s home. Sister will visit many home shrines in the Chandler area and then be taken to settle for the night at Sally & Kurt’s. 10:30-11:30am, Sister Anthony Mary Diago, RSM Director, Office of Consecrated Life at the Diocese of Phoenix will spend time with Sister Jessica, Sally, Margret & Giana. 12noon-1pm time tentative time with Dorothy Westfall, Radio Family Rosary. 1:30-4:30p Sister will visit Jeanne and Maria on west side independent living place. 5pm-7pm Melissa and family will host Sister. 7pm til Sept. 27 Barb & Steve Guarracino will host Sister overnight. Sister Jessica will attend the U.S. Conference of Secular Institutes, https://secularinstitutes.org/September 28-30 at the Franciscan Renewal Center. Let’s all pray for many graces from Sister Jessica’s visit and safe travels for her as well as those of us traveling from one end of the valley to the other to have quality time with Schoenstatt families and Sister!! UNITED ALWAYS IN OUR MOTHER THRICE ADMIRABLE AND HER LOVING SON! Kathy’s home shrine, Mother of Our Savior, September 13, 9:45am sharp. Be prepared to answer discussion questions. Thank you so very much for your dedicated time to Our Lady of Schoenstatt and Schoenstatt Founder, Fr. Kentenich and his works and spirituality! Photos above are from my visit to the Schoenstatt Movement house in Milwaukee and the Exile shrine where I placed your special intentions in the intention jar. This is Sr. Mariairis, who is from Puerto Rico but is now assigned to the Milwaukee Movement House. Our August meeting was fruitful with the Rosary in our home shrine, MOTHER OF GOOD COUNSEL, followed with food/fellowship. Then we tackled our homework, pages 42-60 of our yearly motto booklet “One in the Father’s heart: Omnibus Omnia” The moms studied diligently about the importance of our Founder, Father Kentenich, and our relation to him, his founding of SCHOENSTATT, and Schoenstatt as a pilgrimage place. It is a place of grace, a movement of renewal, Marian, Educational, Lay, Prayer and Sacrifice and Religious and Moral Renewal. Also, we discussed the structured organization of priests and laity for all ways of life and Schoenstatt’s mission for the church. Many questions came up but I feel we answered them. We ended meeting, with picking a Fr. Kentenich quote card and much laughter took place and seriousness to as to our card. 3pm – After she arrives at the airport, Sister Jessica will arrive at Eva and Israel’s house in Chandler to visit and dine with the Chandler families and couples for the evening before heading to Sally’s house for the night. afternoon (Time TBA) – She will be spending time with the West Valley. 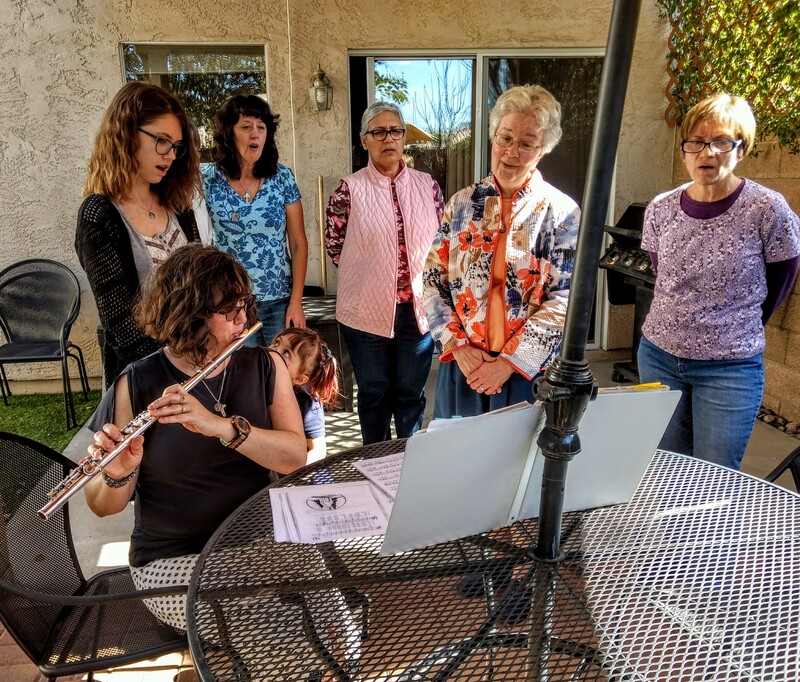 10:30-3pm – East Valley rosary and open house for all who would like to join us at Sally’s (8214 E. Mitchell Dr, Scottsdale, AZ 85251, cell# 262-758-2278). I’m waiting to hear from Chandler folks to set up quality time with Sister. After our time with Sr. Jessica, she will be attending a US Conference of Secular Institutes at the Casa (Sept. 27- Sept 30). We’re really excited to have time with Sister, please call if you have questions, call me, Sally, 480-945-6190 or my cell 262-758-2278. Let’s show Sister a good and fruitful time with our Arizona families! is the largest, continuous, annual, rosary celebration, in the United States. 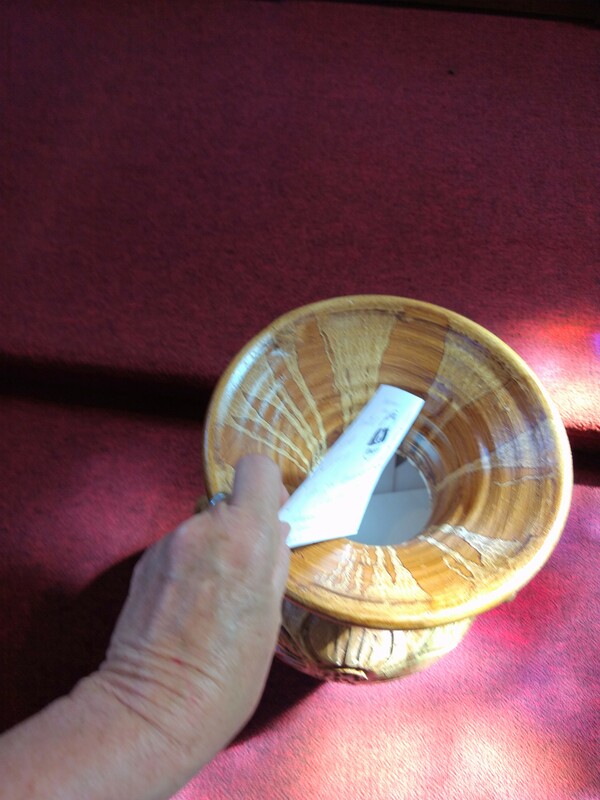 I (Sally) visited two Schoenstatt shrines in WI, and your intentions were placed in the petition jar you see above in the Milwaukee Exile Shrine. I had the entire shrine all to myself, it was so serene and filled with graces. Our mtg is Aug. 16, 9:45am sharp in our home shrine, “MOTHER OF GOOD COUNSEL”. We’ll begin with the rosary, then fellowship with healthy snacks you can bring. We’ve got a lot to accomplish. We’ll continue discussing booklet on Father Kentenich YEAR, page 42-60, please read. 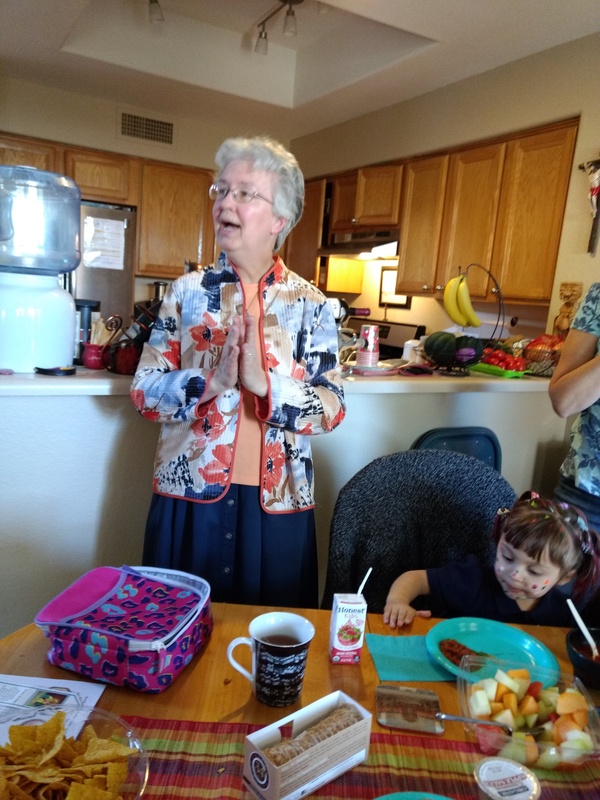 Sister Jessica is visiting us, September 25-27, so we’ll have to plan for her to visit with AZ SCHOENSTATT FAMILIES in far east valley (Chandler), Scottsdale area and West Valley. Please pray we are inspired with productive ways with Sister. I am so looking forward to seeing you all. We had a grace-filled July meeting in Kathy Smith’s home shrine, “Mother of Our Savior,” and discussed our motto booklet on Father Kentenich. Sister Jessica getting to know us before sharing a nugget of her knowledge with us. Singing Schoenstatt songs on a beautiful day with Sister Jessica! I hope you don’t think this comes too early, but I’ve probably never been so on time in my life :). Since we want people to RSVP for Fr Kentenich’s Celebration, here is a poster invite you can email ahead, send to friends, hang up at your church when permission is granted and so on. Isn’t this just the most thoughtful invite from Sr. Jessica and wouldn’t it be wonderful to attend! We’ll have to think of how we here in AZ will celebrate Father’s going home 50 years ago. It would be nice to do something, maybe Mass together and breakfast. See you Thursday, August 16, 9:45am, in our home shrine, Mother of Good Counsel. These photos above are of Fr. John Ebbesmier, our present day Schoenstatt AZ diocesan priest. He celebrated his 40th Anniversary to the priesthood back in February, and made his Covenant of Love several years ago. He will celebrate a Mass with us some time in Sept or Oct.
ALSO, as Divine Providence would have it, he was Chaplain at Seton Catholic High School when our dear Margret Lewis (maiden name Lenhart) was a student there, back in 1990’s. So amazing how our awesome GOD works to touch all our AZ Schoentatt lives with Fr. John. Let’s continue working on our spiritual bouquets for Fr. John as a gift from us for a belated 40th! The photo above is Kathy Smith’s home shrine “Mother of Our Savior” and crowned “Queen of All Families” where we had our Schoenstatt AZ July Mothers’ meeting. We began, as always, with our Schoenstatt Rosary (and remembered you all in our intentions) after which followed lots of laughter and fellowship/food. Freshly snacked and reacquainted, we studied some writings from Schoenstatt. the connection of two events at beginning and end of his fourteen years of exile. Those chapters were packed with knowledge for us of our founder and his breakthroughs of life. We talked too of Fr. Kentenich’s canonization and vowed to be conscientious when we ask our founder for a favor and receive it: TO LET SCHOENSTATT SISTERS KNOW AND WRITE IT DOWN!!! See you next meeting at Sally’s, on August 16, at 9:45am! Let’s give it our all for SCHOENSTATT and participate, especially in the procession and rosary, with our banners and flags and enthusiasm!!! For anyone who missed this Mass last month for Schoenstatt at the the Schoenstatt Home Shrine, Our Lady of Love, Peace, and Joy, here are a few pictures. Thank you to Father Alvin, from the St.Joseph Mission in Mayer, AZ, for joining us as celebrant after driving all the way down from northern Arizona. 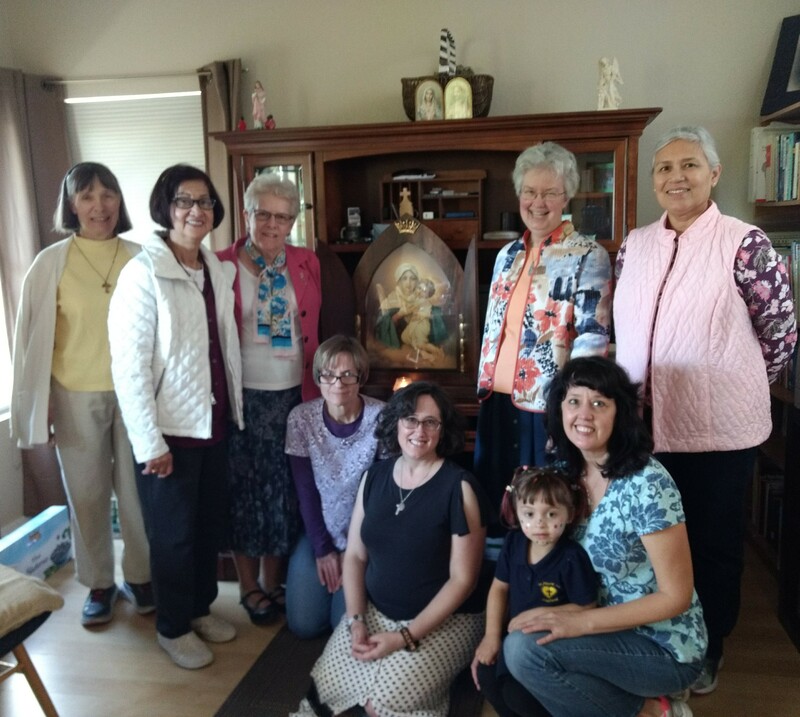 And Schoenstatt-AZ would like to especially thank you to Thelma for hosting this Mass and Covenant and SRC Renewal in her lovely home shrine! August brings many new and exciting things to be lived and experienced here in our [Austin] Shrine. We slowly transition from the summer to a new school year, and look forward to the closing of the special “Father Kentenich Year” in September. Bethlehem Cradle of Sanctity Shrine ,Austin , TX: I invite you to mark your calendars to unite with the Movement worldwide in the closing of this special year on the week-end of Saturday, September 15 and Sunday, September 16. On Saturday we will have a morning of reflection on Fr Kentenich starting at 9:30 am and ending with noon Mass. Sunday, September 16 is Covenant Mass and all are invited to stay after Mass for a special lunch and sharing on Fr Kentenich. 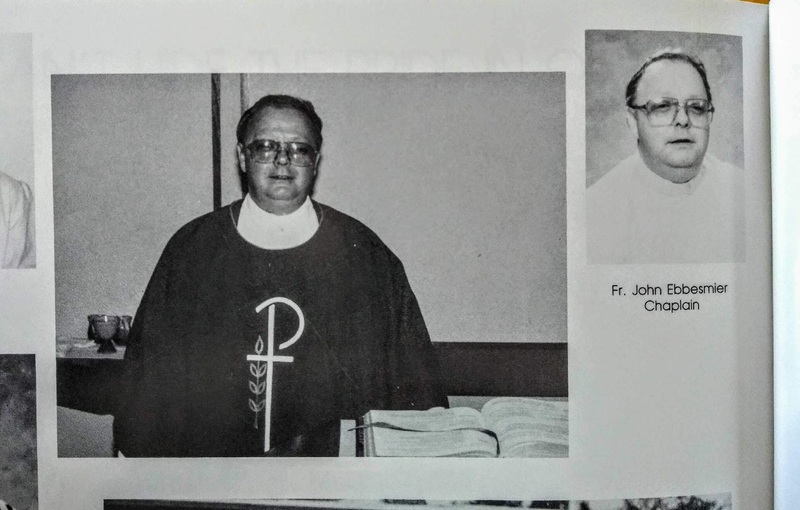 As we prepare for the 50th anniversary commemorating his return to the house of the Father, I invite you to use this month of to continue learning about the person that was our Founder and Father, while reflecting on the question, who is Fr Kentenich to me? Thank you to all who so generously support the Shrine and join us in our mission. The Shrine does not receive outside funding and counts on the generosity of Movement members and pilgrims for support and allows us to grow. The most helpful way to support the Shrine is to join the St. Joseph Circle and become a monthly supporter. From Schoenstatt Fathers in Texas, introducing Patris Publishing. As you probably already know, we have 5 Schoenstatt seminarians from the US and 1 Seminarian also from the US one year away from becoming a Deacon. We ask you to please remember them in your daily prayers and in your contributions to the Capital of Grace. www.patrisstore.com an online store, owned by the Schoenstatt Fathers in the US. All proceeds from these sales are used to help with the cost of the seminarians education. Many thanks for your prayers. for all of their dedication and service. Happy Fourth of July! I hope you had a blessed, fun and safe holiday!! And, I also hope you’re still treasuring/relishing the memories of the Deacon John Pozzobon Mass we had with Fr. Alvin at Thelma’s on July 27. I want to thank each one of you who did your fair share in preparing for our Deacon John Mass. We all had a part in it and everything came together, with Our Mother Thrice Admirable and her loving son, to make a beautifully grace-filled day. After we pray the rosary, we’ll eat, share the graces we feel we received from Deacon John Mass, and have some fellowship. Wait’ll you hear the miracle that happened to me when I got home late afternoon! 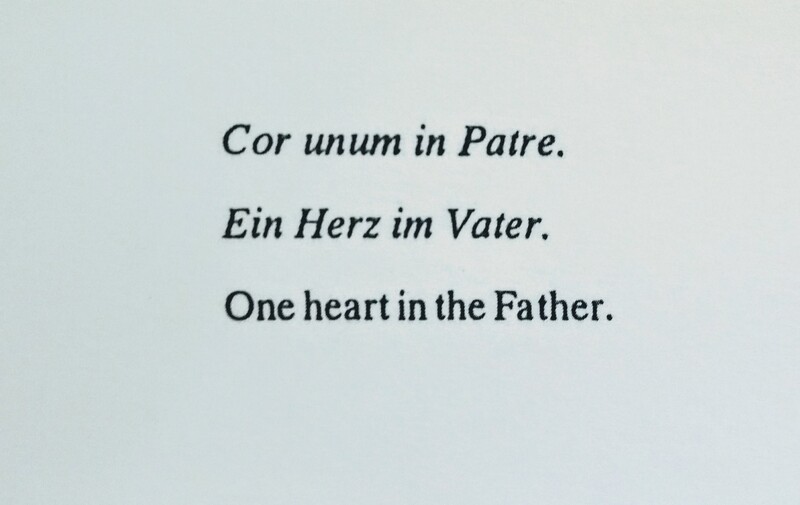 Then, we’ll continue our motto booklet, “ONE IN THE FATHER’s HEART”, pages 26 through 41 . We are reading on our own and will discuss the questions at our mtg. Just a gentle reminder that we will have our May meeting at Sally’s home shrine, on May 17, 9:45am sharp. We will continue, as our group special resolution, to pray daily, the Father Kentenich Prayer. Our homework is to prepare to answer the 3 questions, on page 15 and to read, on our own, pages 16-25, and discuss questions on page 25. We will meet May 17, 9:45am sharp, at Sally’s home shrine “Mother of Good Counsel”. Mary Lou and Dee (our mature Schoenstatt moms) may be joining us. Healthy snacks welcome. Do not fret if you don’t have the motto booklet from Sr. Marie Day, as we’ll share. Fr. John, the pastor at Sts Joachim & Anne, will celebrate a home Mass in Thelma’s home shrine, “Our Lady of Love, Peace and Joy,” June 27, 2018, 11am, (address soon). We’ll celebrate Schoenstatt Deacon John Pozzobon’s feast and celebration of New Life back in 1985. Also, Father will recommission us as missionaries of Pilgrim Mothers, and renew our COVENANT OF LOVE together. POT LUCK TO FOLLOW. HEALTHY FOODS PLEASE. More details forthcoming. See you at Sally’s home, May 17, 9:45 am sharp and we’ll begin straightaway with the rosary. Call Sally for addresses or questions. The booklets Sister Marie Day sent for us to study are on our motto this year, in preparation for celebrating our dear Father Kentenich’s 50th anniversary of death, Sept 15, 2018. Sally will have them available at the meeting for $3 for whomever wants to study with us. We truly love our founder and pray for his canonization, as he is a saint in waiting! Please let Sally know that you’ve received this, and if you’ll make our mtg. We’ll also discuss our group meeting at Thelma’s home shrine in May and the possibility of Fr. Ebbesmier celebrating MASS there! Fr. Ebbesmier is a diocesan Schoenstatt Father, from St. Joachim and St. Anne Parish in Sun City, who made his Covenant of LOVE a few years ago in Jeanne’s home shrine. He’s very loving parish priest and said he’d celebrate Mass with us when we asked him. I truly look forward to quality time with each of you. We want to announce a new project! As we are serving families, we are always examining the many challenges they face to better help them overcome obstacles to enhancing their family’s spirituality. Recently, however, we found an even greater obstacle to the family in society, the basic formation of the family. We have partnered with Paulist Productions and Mpower Pictures on a documentary called, THE DATING PROJECT. This film is a powerful snapshot into the fractured culture of young adults yearning for human connection and authentic relationship. It follows five single people ages 18-40 as they navigate beyond the hookup culture to traditional dating. Professor Kerry Cronin from Boston College is featured throughout as she teaches and encourages her students to return to traditional dating. THE DATING PROJECT provides a unique opportunity to expose the root problems that have taken hold of America and bring restoration and hope to single men and women and ultimately rebuild families, the domestic church. We need to create a strong dating culture to ensure a strong marriage culture. The film will release on April 17, 2018, for a one-night only theatrical event nationwide and we need your support! Consider sharing this email with your family, friends and networks! COPYRIGHT © 2018 FAMILY ROSARY. ALL RIGHTS RESERVED. Please let Sally know if you’ve received this, and if you’ll be able to attend our next meeting, April 19, 9:45am, at Barb’s home shrine, Mother of Confidence. We had a very grace filled Schoenstatt March Mtg. at Melissa’s home. She shared a beautiful story of her home shrine beginning, which included her husband and hanging their big golden framed picture of Mother Thrice Admirable. We prayed the rosary, had fellowship and healthy snacks, and then listened to Sister Marie Day on a CD giving a wonderful and very detailed talk on the Blank Check, which is a deepening of our Covenant of Love. Sally will share the CD with whomever would like to listen to it. 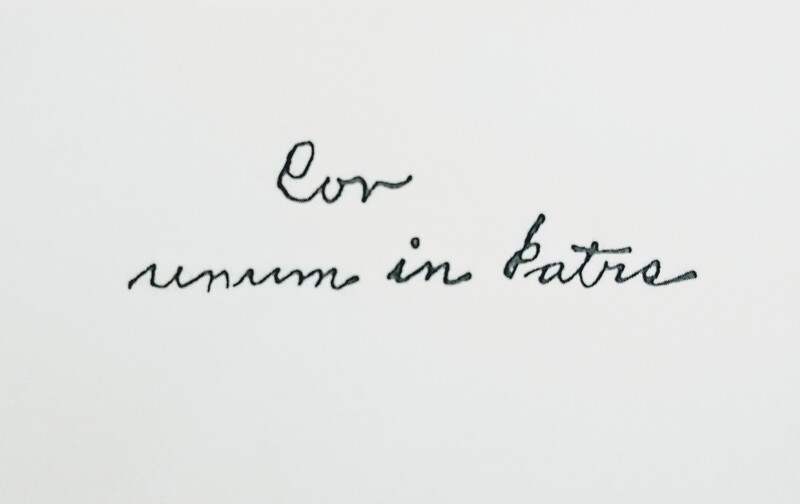 Study motto: One in the Father’s Heart: Omnibus Omnia! NOTE: Booklets $3, all invited to gathering! Barb has graciously opened her home shrine, MOTHER OF CONFIDENCE, to us all on Thursday, April 19, for our Schoenstatt mtg. 945 sharp. As always, we’ll pray the Rosary together then share fellowship and healthy snacks. Afterwards, we will really buckle down to the booklets Sister Marie Day sent on our motto this year of Father Kentenich’s 50th celebration of death, Sept 15, 2018. The booklets are $3 and available from Sally to whomever wants to study with us. We truly love our founder and pray for his canonization, as he is a saint in waiting. We will plan for the possibility of Rev. John L. Ebbesmier celebrating MASS in Thelma B.’s home shrine. Fr. Ebbesmier is a diocesan Schoenstatt Father from Sts Joachim and Anne Parish. He is a very loving parish priest who made his Covenant of LOVE a few years ago in Jeanne G.’s home shrine and offered to celebrate Mass with us when we asked him! Schoenstatt Sister Jessica Visits Feb.1 10am! We’re really excited to have a few hours with Sr. Jessica (SCHOENSTATT Sister from Minnesota) February 1, 10 am until 1:30 pm. We’ll meet at Barb’s home shrine, “Mother of Confidence”. Preparing to celebrate our founder, Fr. Joseph Kentenich’s 50th anniversary of his day of death Sept. 15,2018. Please bring a healthy snack and RSVP to Sally 480-945-6190 if you plan to attend (Sister would like to know how many will come). 1 Comment Schoenstatt Sister Jessica Visits Feb.1 10am! We are so excited to have Sr. Jessica visit with us for one day Feb. 1; we’ll plan our day with her when we meet. *Please RSVP to Sally for attendance. United with through our MTA and her loving Son on Covenant Day, Jan. 18, 2018! Happy Veterans Day as I’m sure each of you have a veteran in you family. We are grateful to all our heroes. 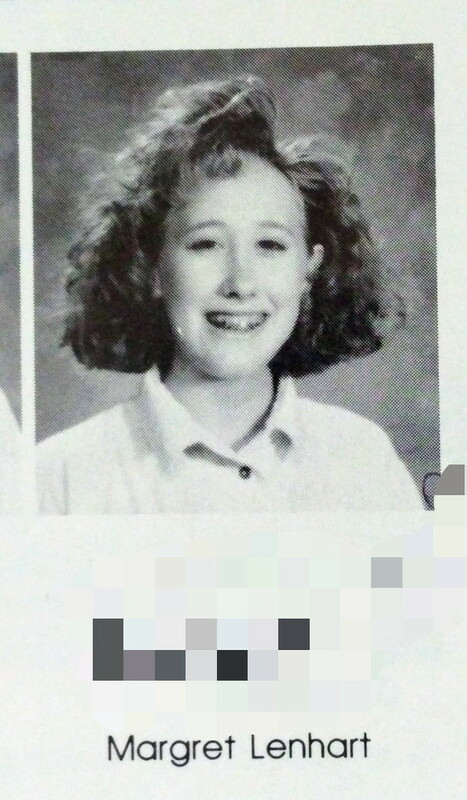 Just a gentle reminder that we’ll all meet at Barb G.’s home shrine, MOTHER OF CONFIDENCE, November 16, 9:45am sharp. Feel free to bring Fr. Kentenich birthday healthy snacks, looking forward to seeing you all and singing to our dearly beloved founder and Father to many. Auxiliary MTA Crown found and Cross arrived! Eternal Triune God, for love of You and Your Holy Church,the founder of Schoenstatt always tried to do your will and lead many people to you. Through Mary, Mother Thrice Admirable and Queen of Schoenstatt, grant him what he requests on my behalf and let him soon be beatified, so that he may be even more fruitful here on Earth for You and Your Kingdom. CROSS and CROWN — Our Auxiliary Shrine for Arizona, recently lost her crown and her cross. Towards the end of the meeting, we agreed to add the return of or purchase of a new Cross and Crown to our prayer intentions. Just two days later, Margret’s husband located the Crown, apparently fallen in transit prior to Knights’ visit, and Sally received the new Cross in the mail! Mother does take perfect care! Payment for the Cross will be discussed at the next meeting. Marian Conference – Among other events, Father Calloway gave talks on Mary, the Rosary, apparitions, and even mentioned Fr. Kentenich and Schoenstatt. Visit with Knights of Columbus – Margret, with her 2 daughters and her father, drove through the big thunderstorm of August 3, during rush hour, through the flooded city streets, to bring our auxiliary Shrine to the Knights of Columbus group meeting at Our Lady of Mount Carmel in Tempe. She showed the small group of about 15 Knights a PowerPoint presentation of a brief history of Father Kentenich and Schoenstatt’s Mission. The Knights were very hospitable and gracious, and seemed interested in becoming friends with Schoenstatt AZ, as we have similar missions for education and family development. Pennies – Sally collects pennies for the Schoenstatt Sisters of Mary in the Dominican Republic who help children and families with nutrition, clothing, and other needs. Change – Margret and the Youth Group at St.Anne’s Catholic Church are collecting change to send to the Schoenstatt Sisters of Mary at Rockport in Lamar, Texas, who have many repairs to make after surviving Hurricane Harvey. They are also praying Hail Marys, Our Fathers, and the Consecration Prayer (My Queen, My Mother). 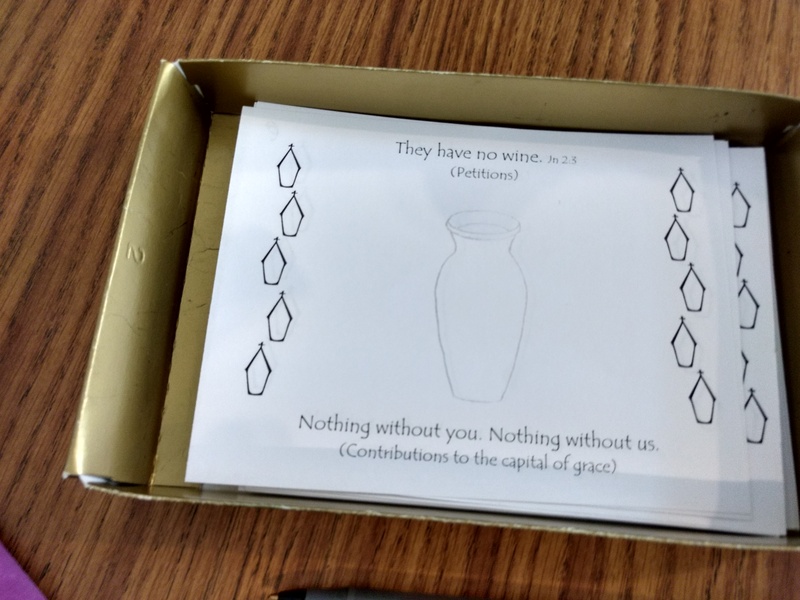 These are counted by marking a card and by counting wildflower seeds into a jar, which will also be sent to the Sisters for planting. Intentions for people may be brought to Mass with you and prayed for, lifted up in our hearts, when the priest says, “Through Him, with Him, and in Him…” at the Consecration Prayer. When a person prays in petition for blessings upon their knees, in the morning and at night, Father Kentenich will happily bless all for whom the blessing is requested. In the Home Shrine, Mother of Good Counsel, we all prayed together the Rosary of Deacon John Pozzobon with all intentions in our hearts. We gathered in the kitchen for healthy snacks and drinks and shared about our events and the last month around the table. After briefings on the Marian Conference and the visit with the Knights of Columbus, we decided on a few jobs for the upcoming ARC, Arizona Rosary Celebration. Alma will carry the banner and Margret’s husband, Travis, will carry the Auxiliary MTA. We read and discussed the last few pages of our study book, Fear Not, Proclaim the Father’s Love, titled for the theme for this last year. Since we will have our next meeting in October, we hope to start a new booklet for the upcoming annual theme, yet to be announced. We will be praying for, or continuing to pray for, intercession through Father Joseph Kentenich for our requests and needs, with the prayer for his beatification, on the back of his picture card. Also, in hopes to aid in the process towards Fr. Kentenich’s beatification, we will keep track of petitions and answers requested and received through the intercession of Fr. Kentenich. Guest speaker Most Rev. Ricardo Ramirez, C.S.B., Bishop Emeritus of Las Cruces, New Mexico. A short first post about our Schoenstatt family in Texas. The Sisters of Mary are reported to be unharmed, but the property and the Shrine itself were badly damaged by hurricane Harvey. The link below takes you to the Schoenstatt Sisters of Mary in Lamar/Rockport, Texas. There are more photos and an address to which anyone can send donations for repairs. Just a friendly reminder of our September 21, 2017, 945am (SHARP) meeting in our home shrine “MOTHER OF GOOD COUNSEL”. Looking forward to seeing you all, healthy treats are welcome. Feel free to invite your family and friends. We’ll pray the rosary (so many intentions I’m sure you all have), fellowship, discussion of AZ ROSARY CELEBRATION, October 22, 2017, 2pm (you’ll want to get there early though, lots of religious items’ booths, confession, adoration and pre-program music). We’ll discuss who carries what, Margret’s husband has graciously agreed to carry the big Auxiliary MTA, but we’ll need others to carry banners we have. Also, bring your Pilgrim Mothers for procession. Hopefully we’ll finish up our motto booklet for this year, or by Oct. Motto is “Fear not, Proclaim the Father’s Love” and we’ll study/discuss from it; those who don’t have a booklet, don’t worry, we can share. Our special resolution, for this month is Fr. Kentenich’s short prayer from HEAVENWARDS….pray daily “Though storm may rage, and wind may howl and lightning strike again, I think as does the mariner’s child, my FATHER is at the helm.” (quite appropriate too, with the hurricanes we’ve had).